Payment is due in full at the time you reserve the space. If you cancel your reservation seven (7) or more days prior to the intended use date, you will receive a 90% refund. If you cancel your reservation three (3) to six (6) days prior to the intended use date, you will receive a 50% refund. If you cancel two (2) or less days prior to the intended use date, you will receive no refund. A LINX staff member will be on-site to assist with unlocking and locking studio doors at the beginning and ending of the rental period. The staff member may also be able to assist with issues relating to music and room set up. However, the rental period is UNSUPERVISED time. LINX, LLC, LINX LEADERS AND LINX DANCE INSTRUCTORS ARE NOT RESPONSIBLE FOR SUPERVISING CHILDREN IN THE DANCE STUDIOS DURING A RENTAL PERIOD. STUDIO USE IS AT YOUR OWN RISK. LINX IS NOT RESPONSIBLE FOR ANY ACCIDENT, INJURY, ILLNESS OR LOSS OF PROPERTY THAT MAY OCCUR DURING THE RENTAL PERIOD. 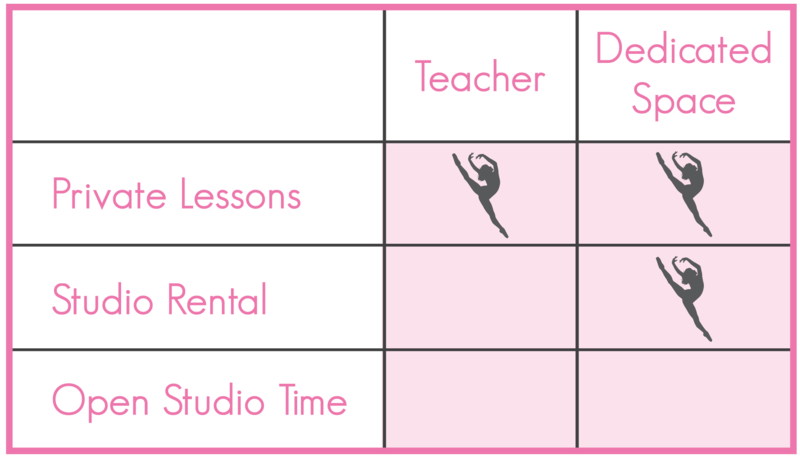 BY BOOKING THE RENTAL OF DANCE STUDIO SPACE, YOU ACKNOWLEDGE AND AGREE TO THESE TERMS. You may only rent studios for approved purposes to serve LINX and LX Dance dancers and Team members. At the time of rental, you must provide a list of the names of all dancers who will being using the space during the time of rental in the notes of your studio rental order. The parent or guardian of each dancer must have completed a Participation Authorization For Unsupervised Dance Studio Use form in order for the dancer to be allowed to enter and use the studio. The Participation Authorization For Unsupervised Dance Studio Use can be found below. No other dancers are permitted in the studio without prior approval. Children who are not participating in the dance rehearsal, including siblings of participants, and non-LINX members are not permitted in the studio at any time during the rental period. The maximum number of dancers permitted in the studio is 10. Adults must pick up their children promptly at the end of the studio rental time and ensure that the room is left in the clean and orderly fashion it was found in. You are responsible for setting up your room and for cleaning up before leaving. All music and lights must be turned off at departure. Trash cans are provided. You may not put equipment or personal items in the room prior to the time your rental begins. You also may not leave any equipment or personal items in the room following your rental time. Outside shoes must be removed before going onto the sprung floors. No backpacks or equipment may be used on the sprung floors. Yoga mats and other foam like items are permissible as long as they do not mark the floors. Food is not permitted in the dance studio. Only water may be brought in to the dance studio. Music is available by plug in only. Music volumes must be maintained so as not to disturb neighboring businesses. ​Dance studios may not be rented for acro or tumbling purposes. Dance instruction is not permitted in the studios when rented via this website. If you wish to reserve time for private dance instruction, please contact us at (781)-235-3210 or information@linx-usa.com. ​Please report any damage or unsafe condition in the room prior to the start of your use. Should damage occur or an unsafe condition develop during your use, please report it as soon as it arises. Renters are fully responsible for any damage caused during the scheduled time in the studio. Please click here to review, print, and sign our participation authorization form for unsupervised dance studio usage. Please return this signed form to the front desk at LINX prior to rental. Failure to follow the above policies may result in LINX asking you to leave the studio prior to the expiration of your rental period and/or prohibiting you from renting space in the future. Should you be asked to leave the studio early for failure to comply with LINX policies, you will not be granted a refund or credit.